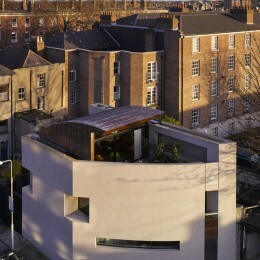 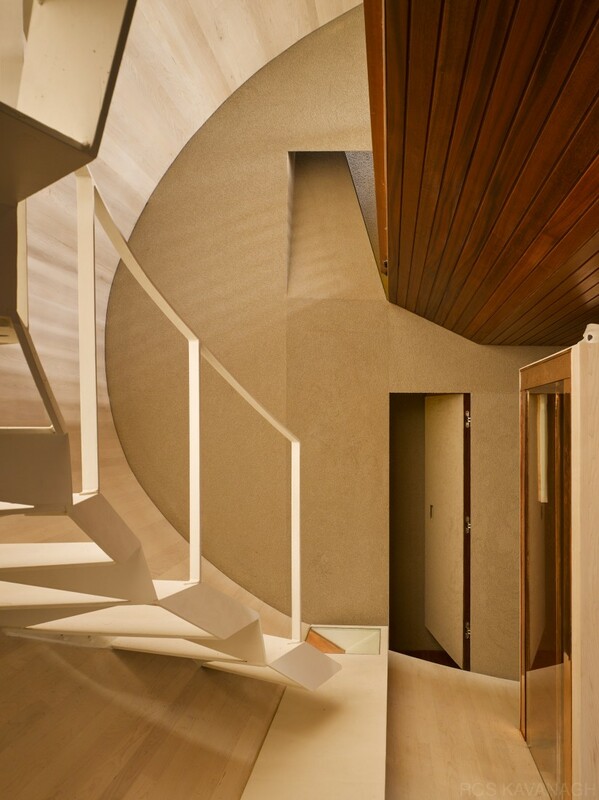 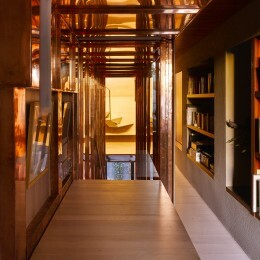 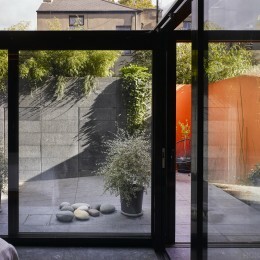 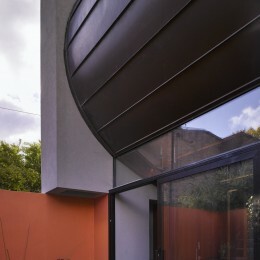 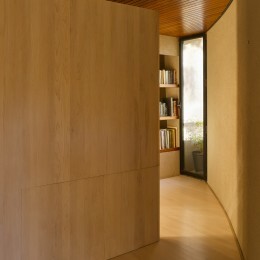 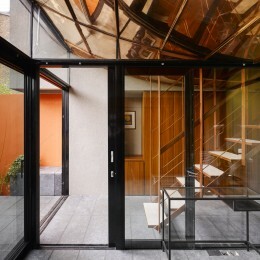 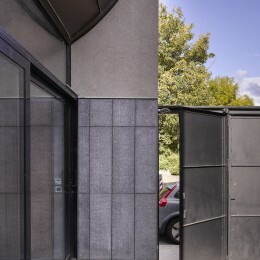 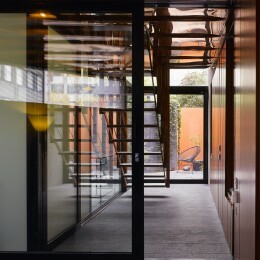 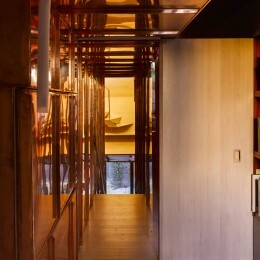 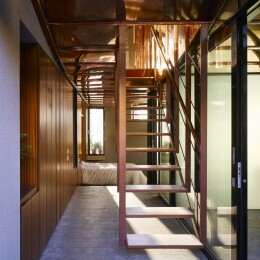 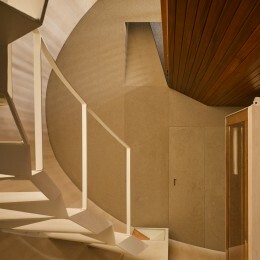 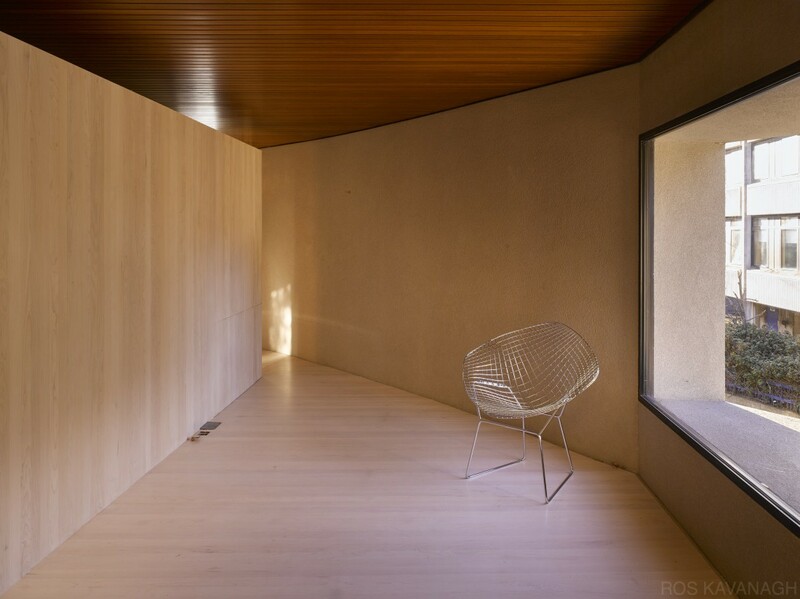 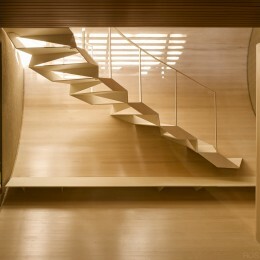 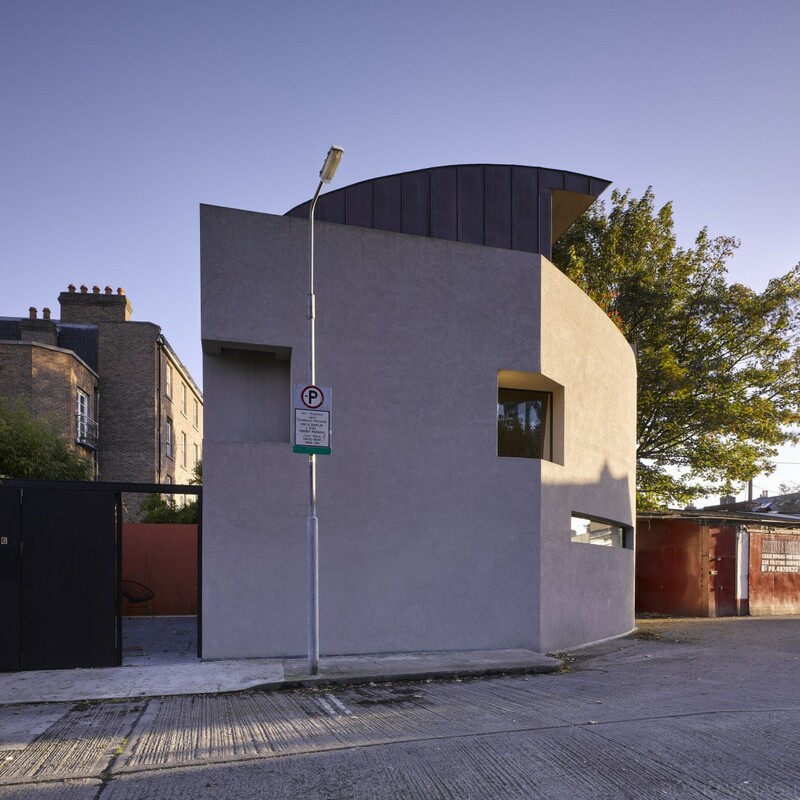 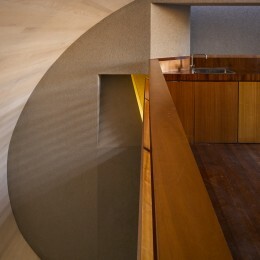 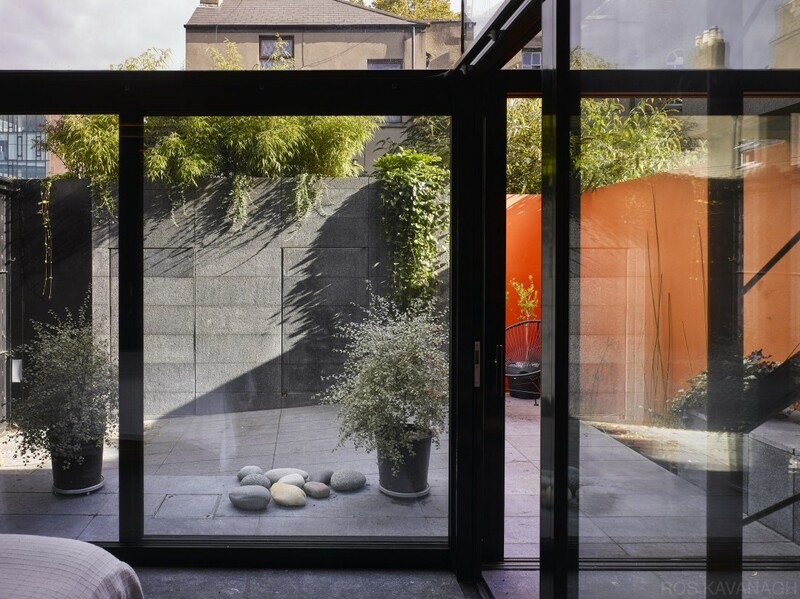 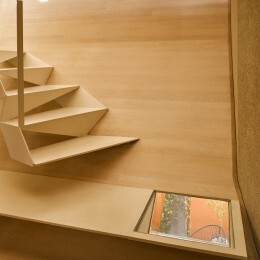 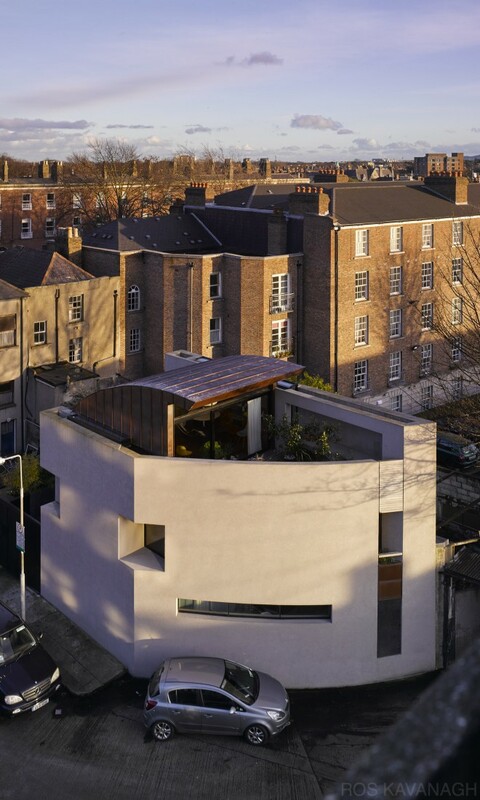 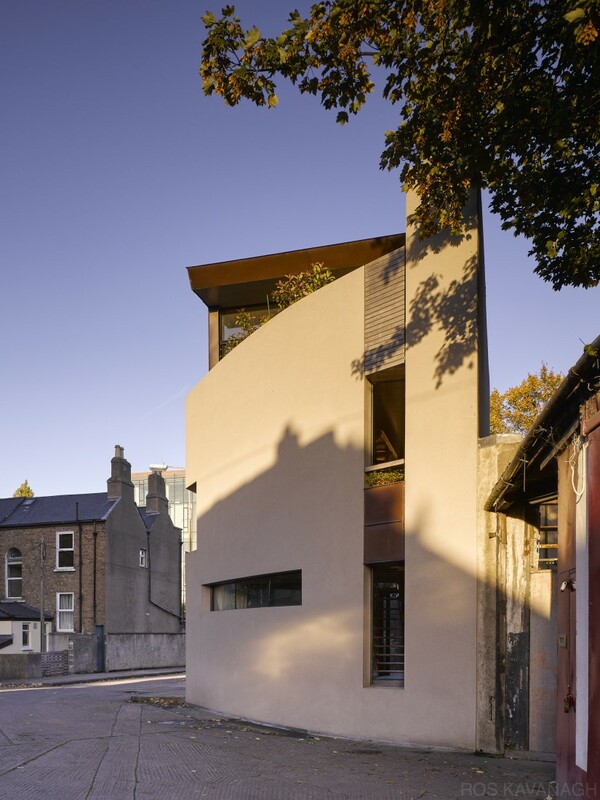 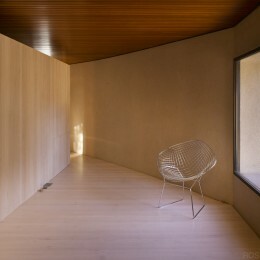 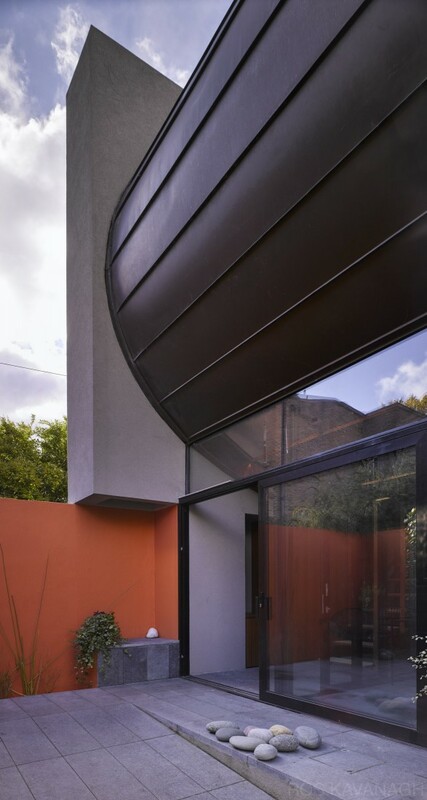 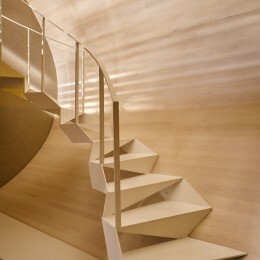 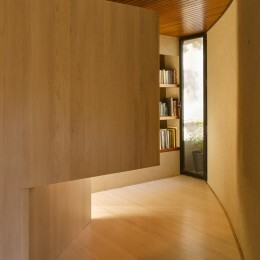 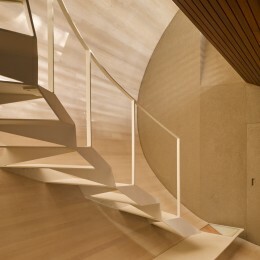 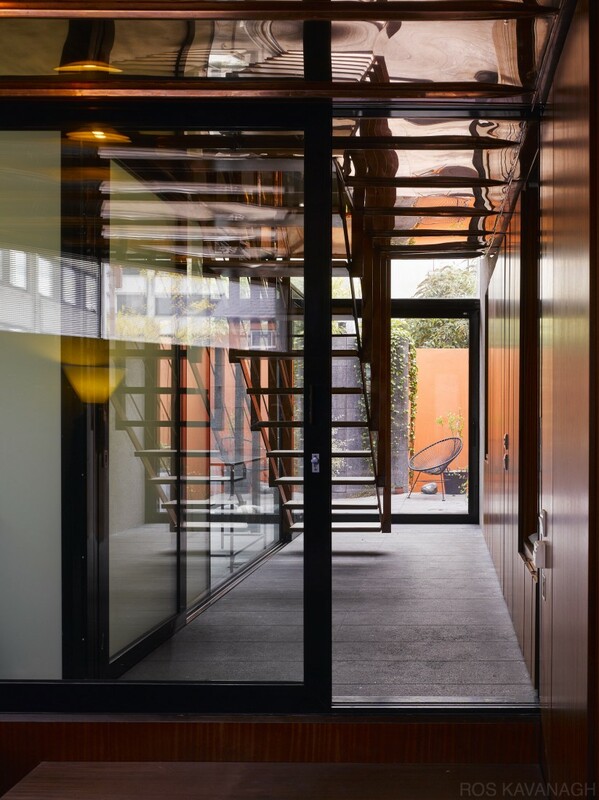 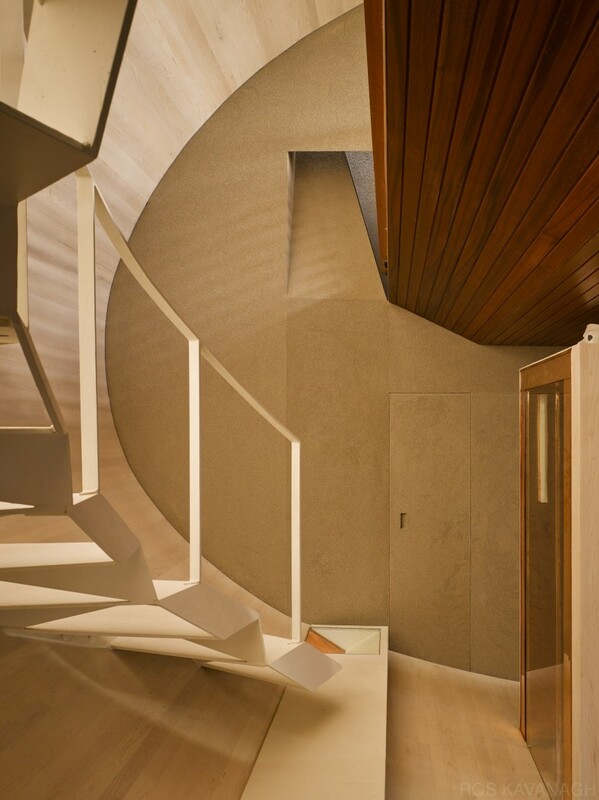 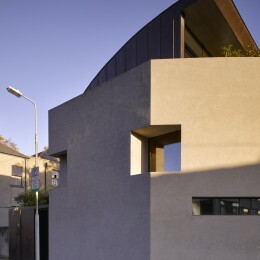 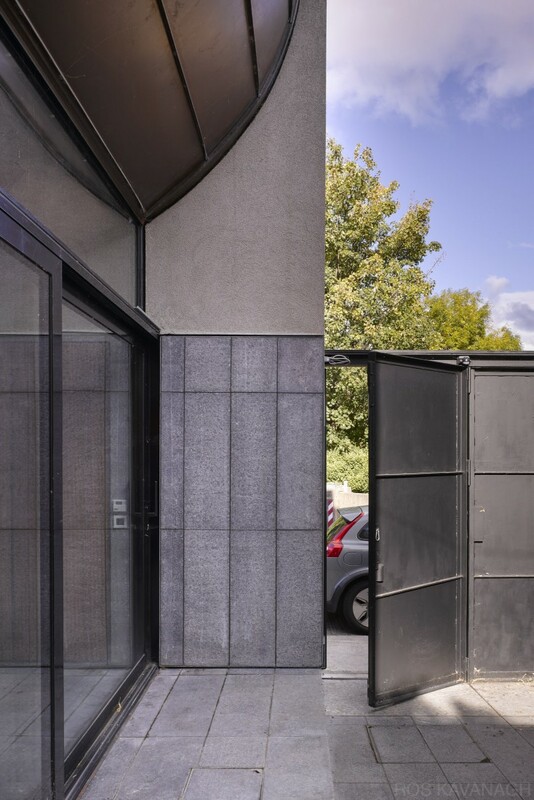 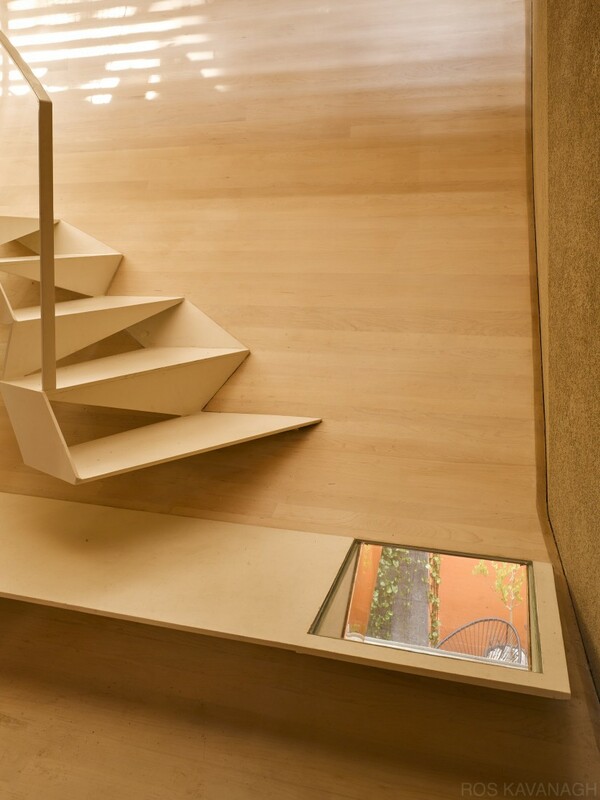 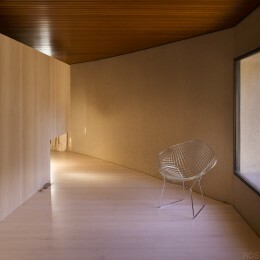 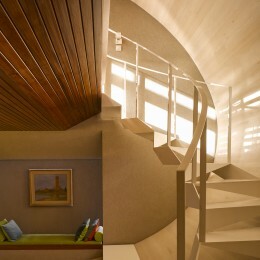 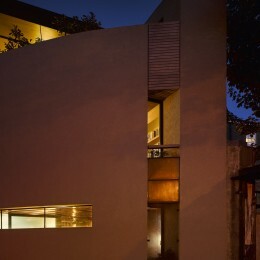 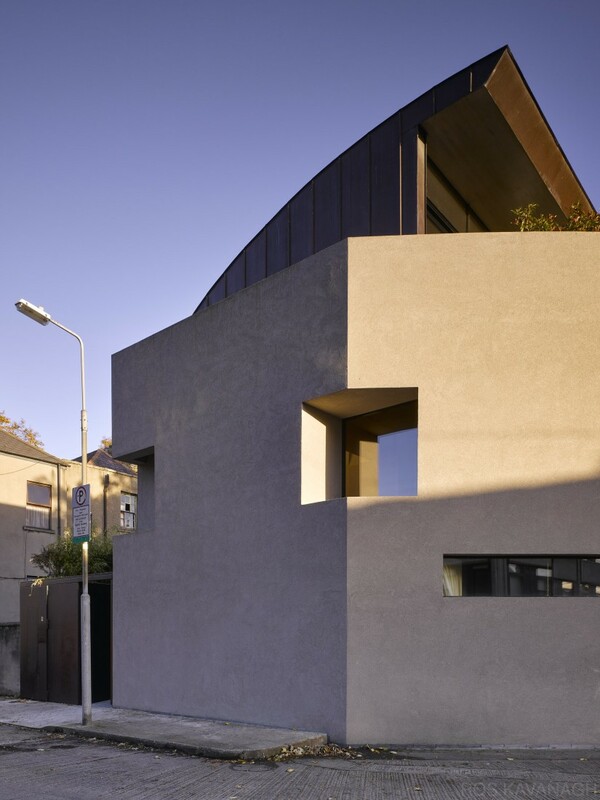 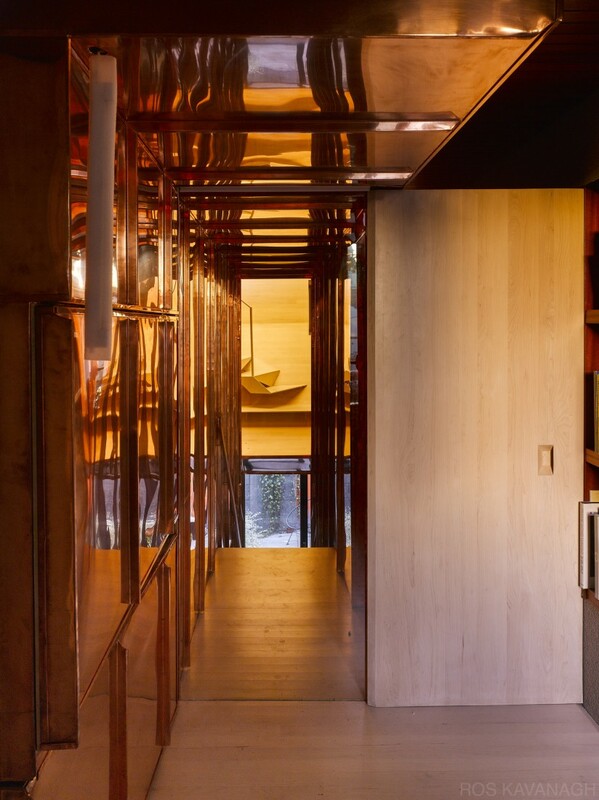 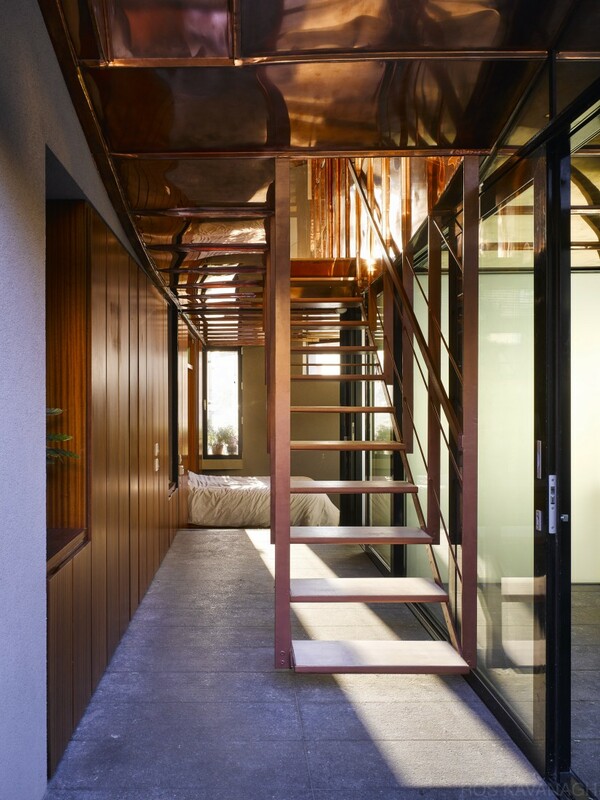 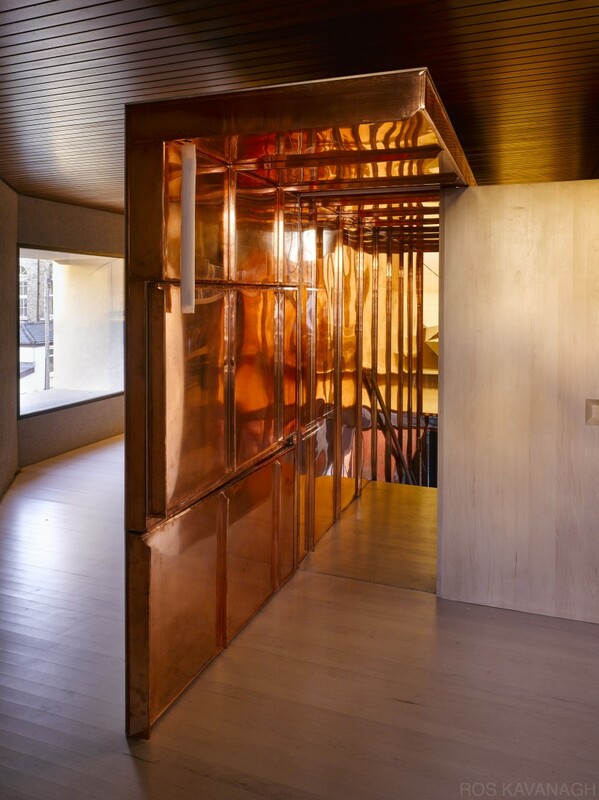 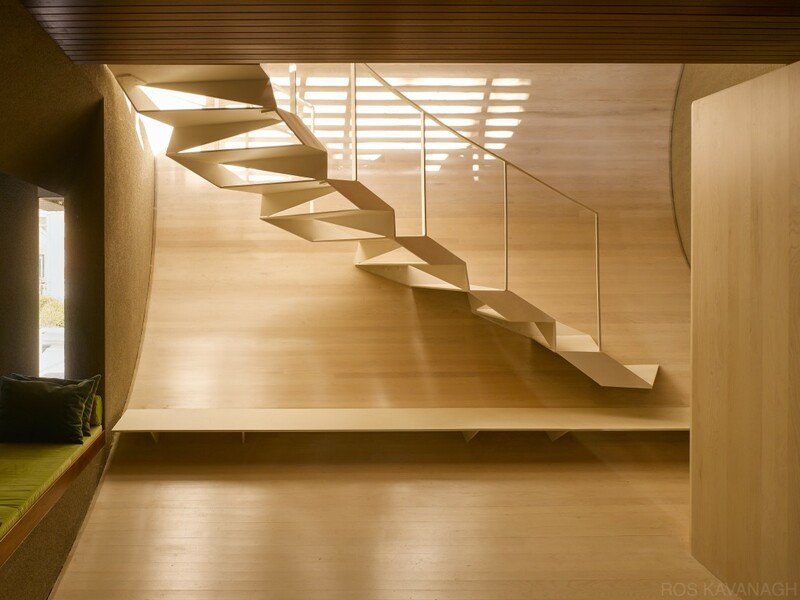 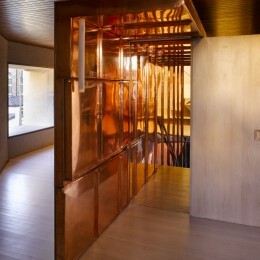 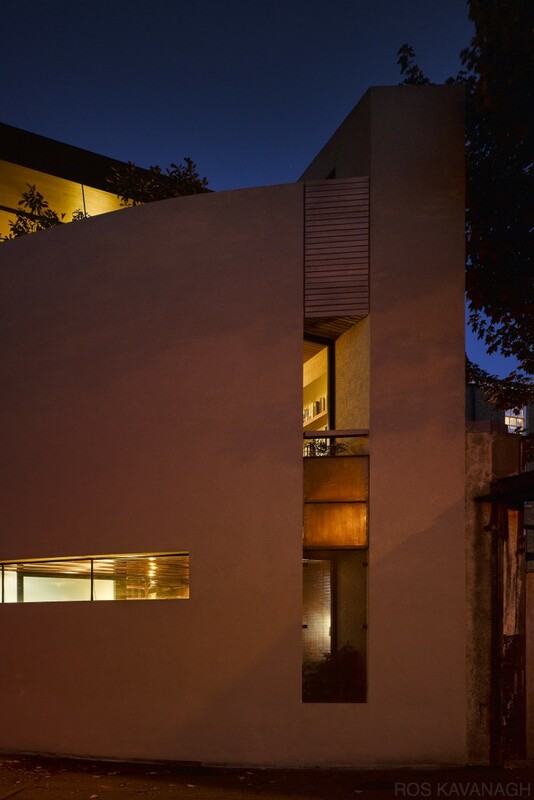 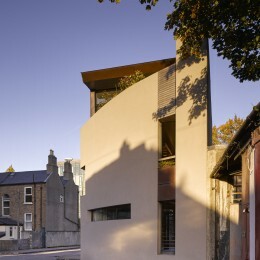 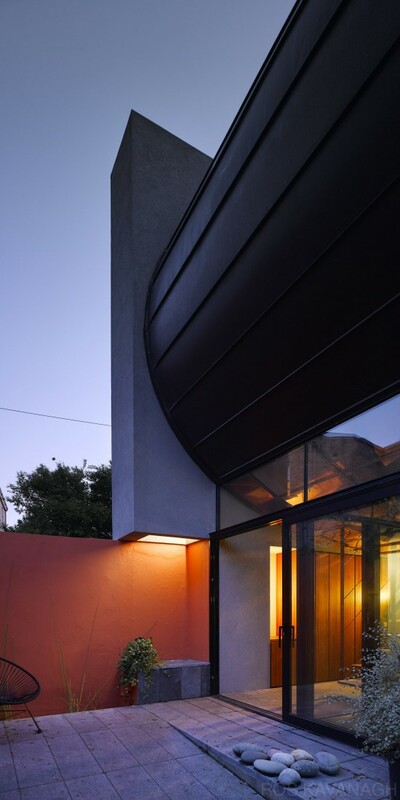 K House | Ros Kavanagh. 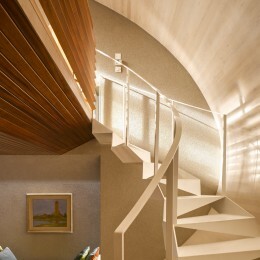 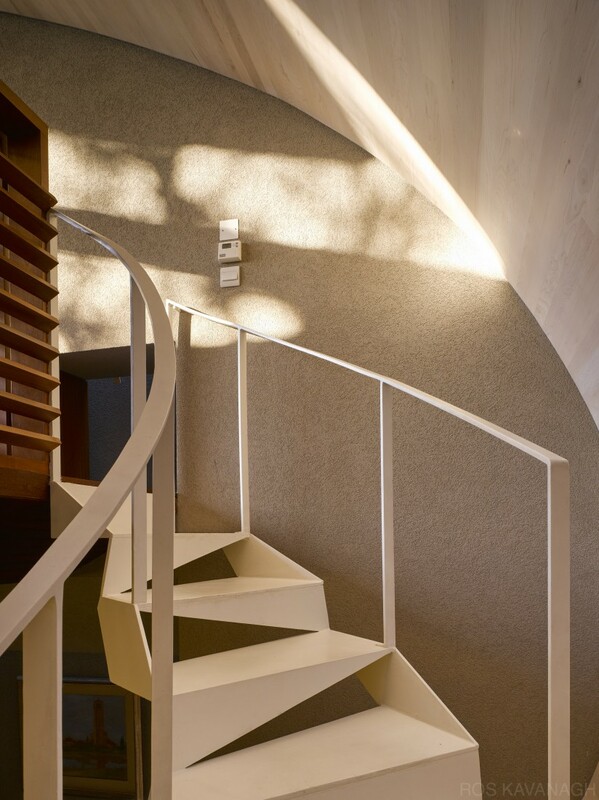 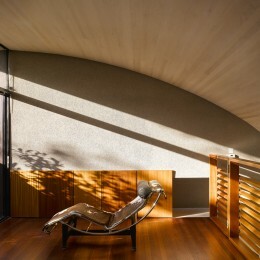 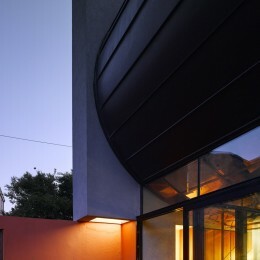 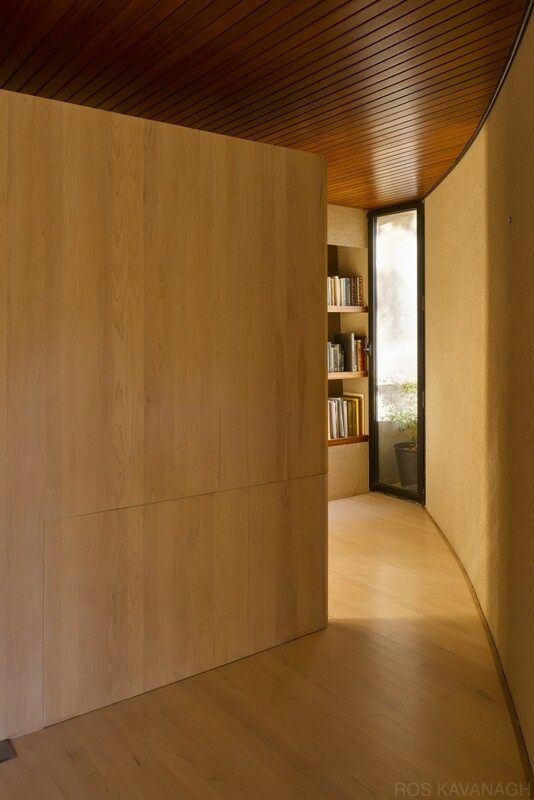 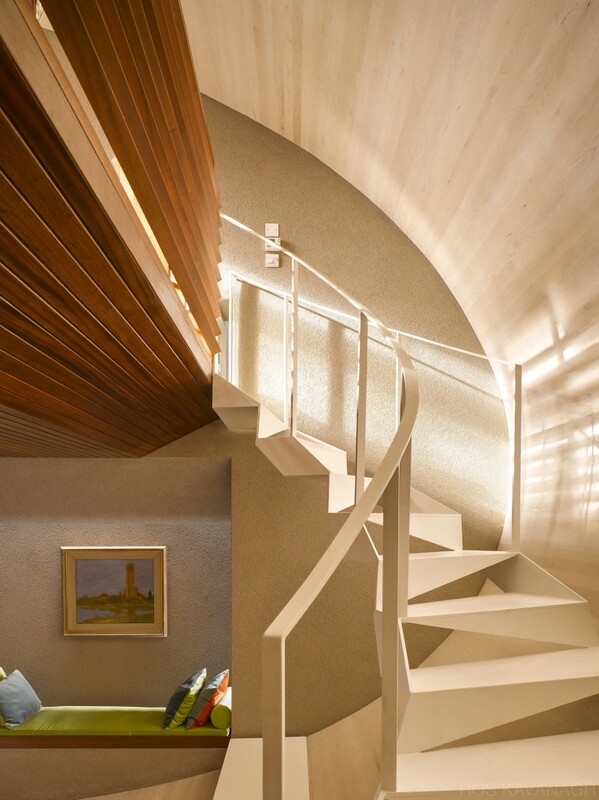 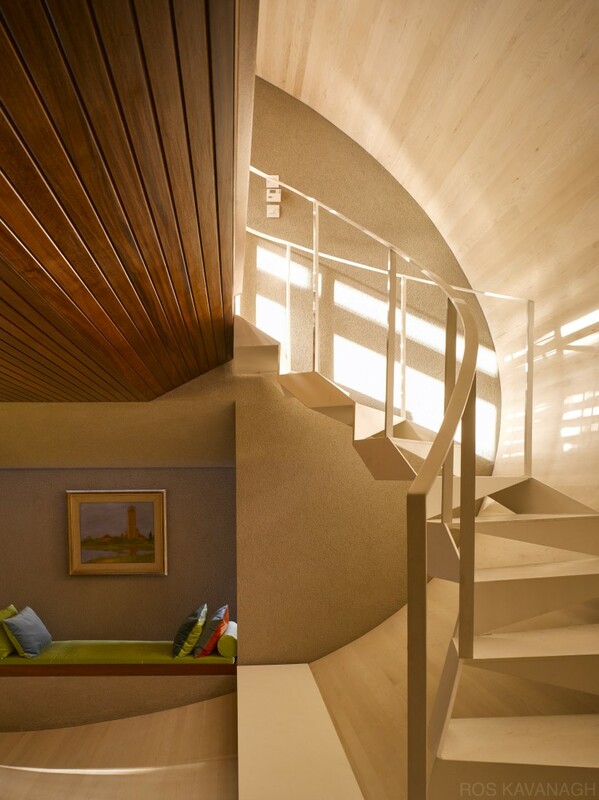 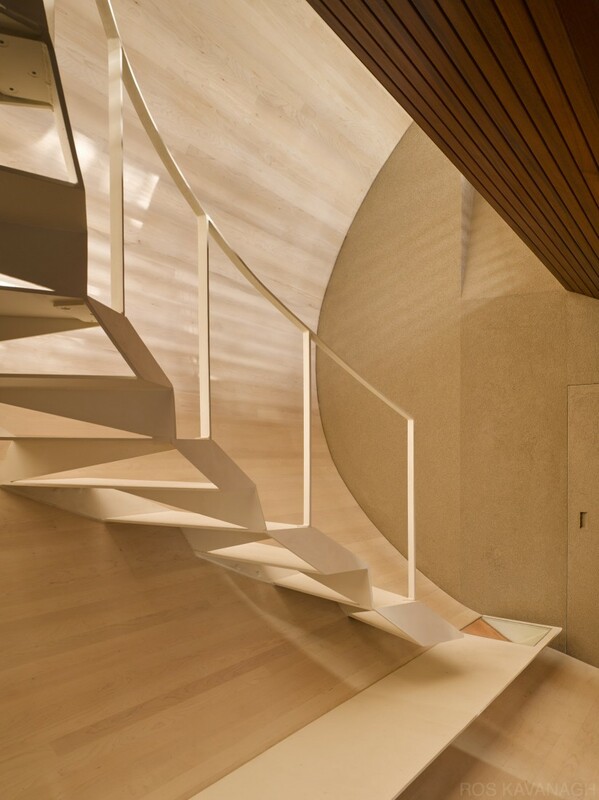 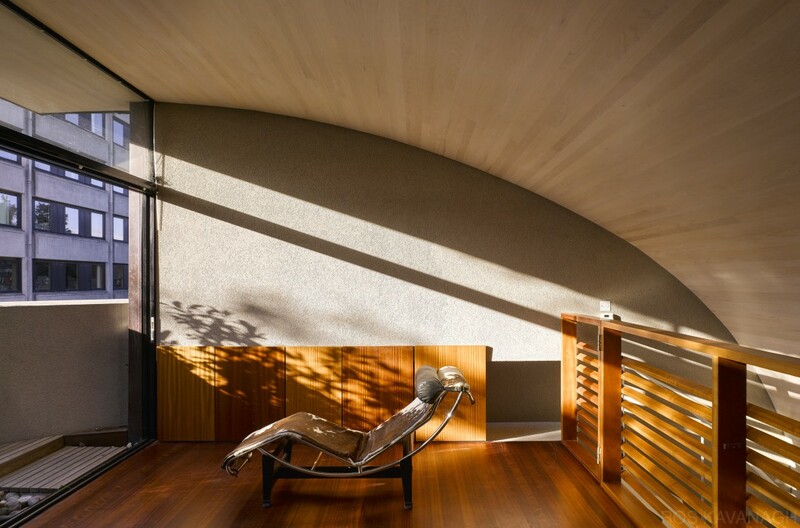 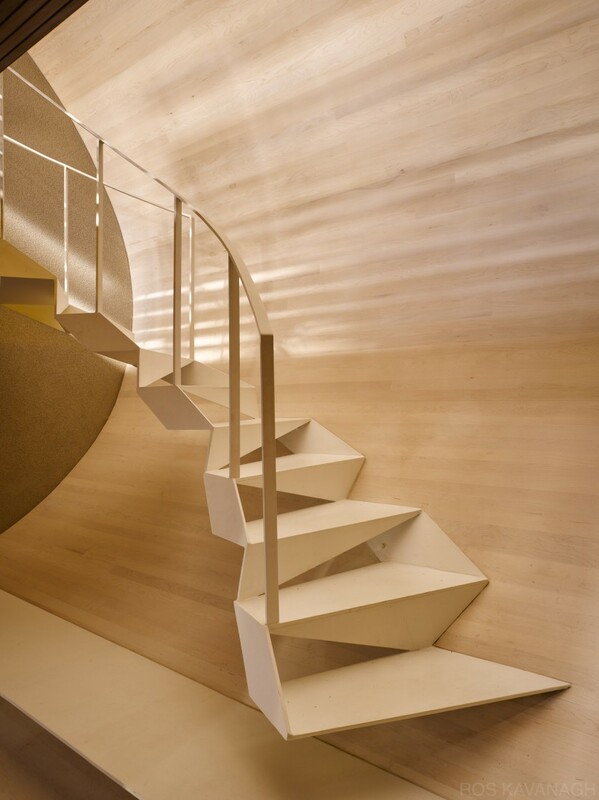 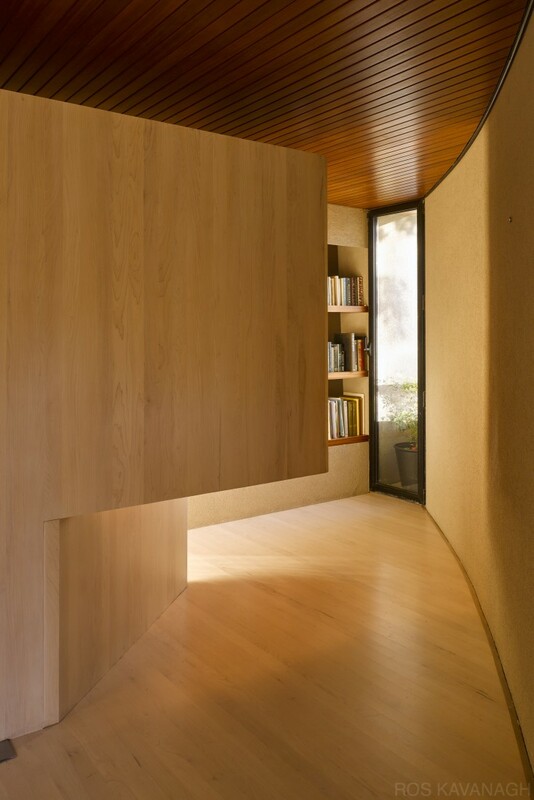 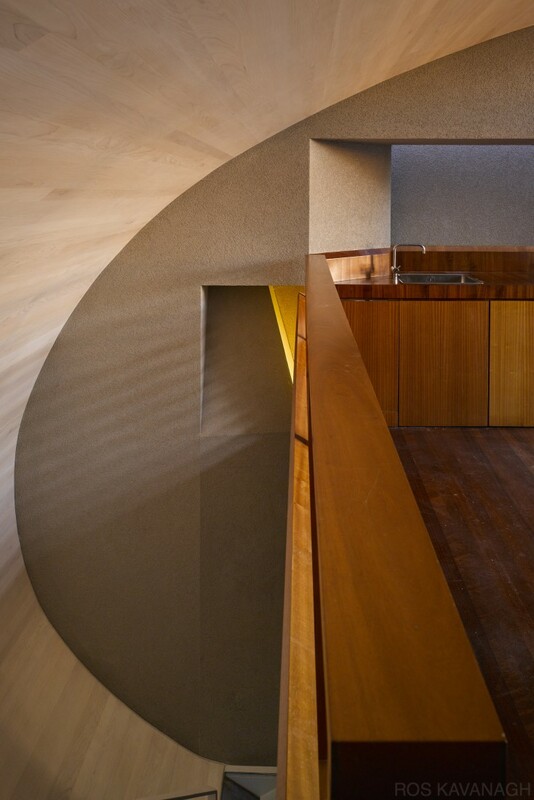 A curved design that starts on the roof deck with it’s projecting ceiling and Canadian maple interlining, and carries down to form the floor of the living room. 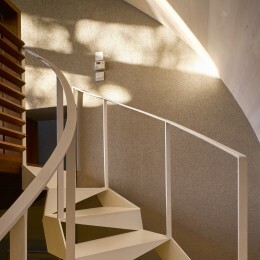 It’s an ‘upside down’ house with the bedrooms and main bathroom on the ground floor; the living area and study on the middle floor; and the kitchen/dining zone at the top opening onto a triangular roof deck. 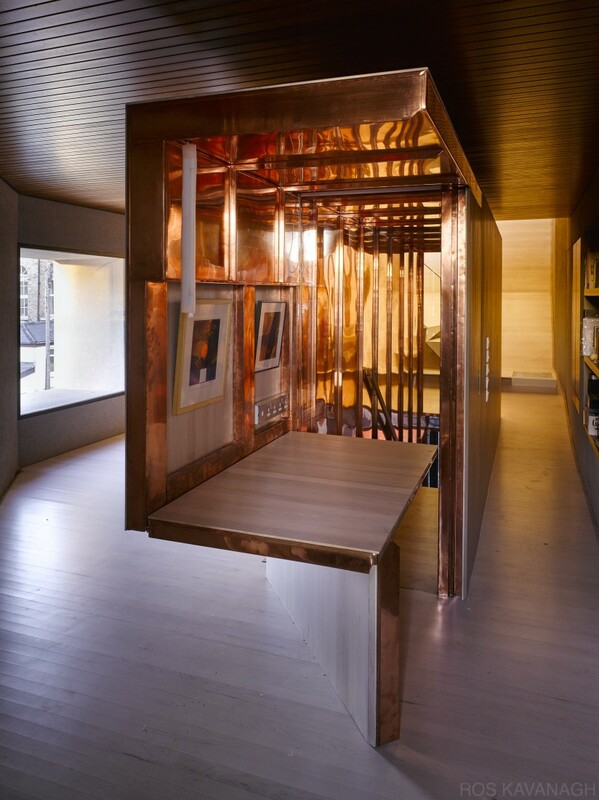 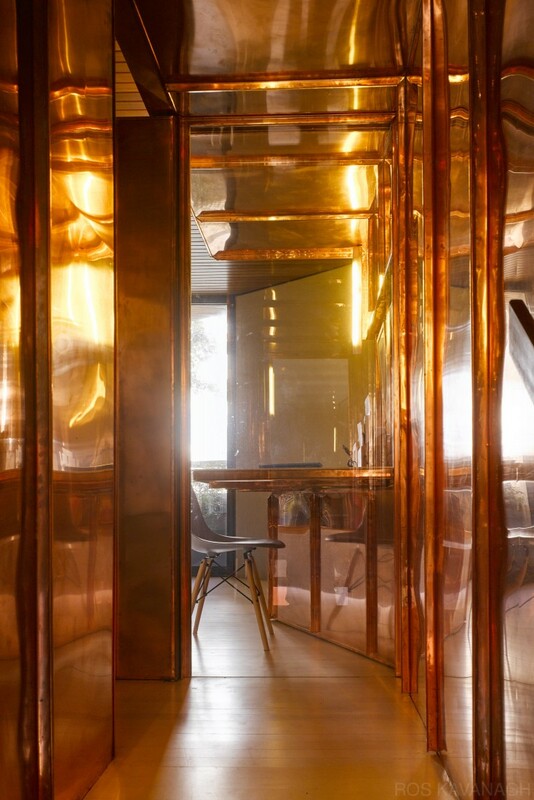 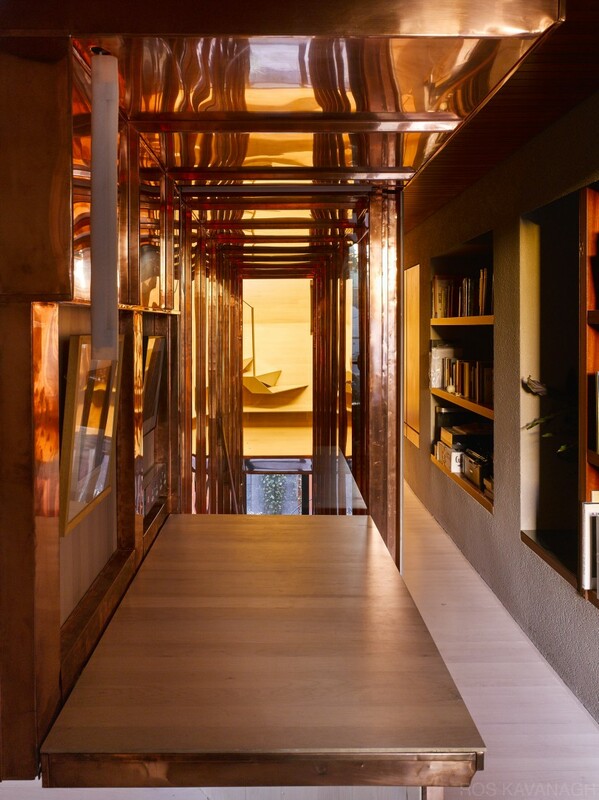 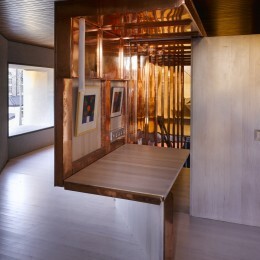 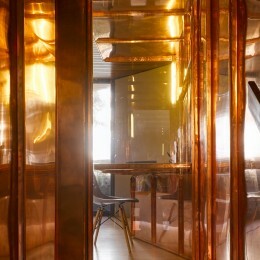 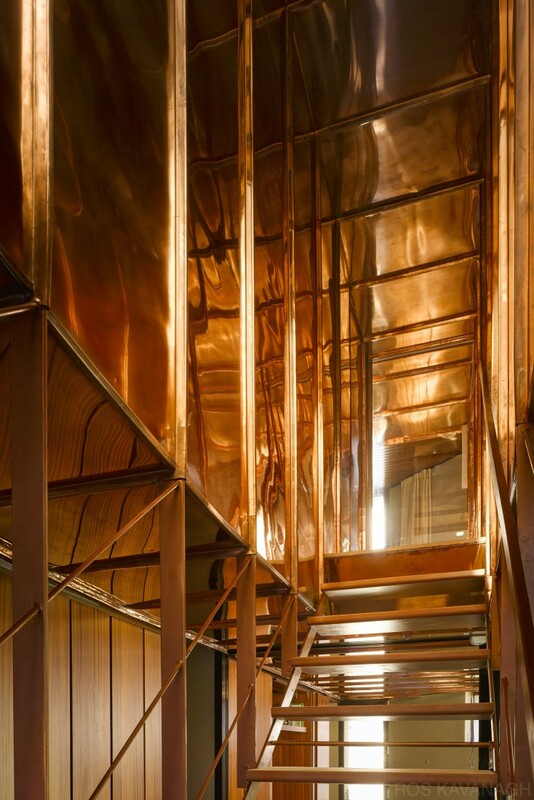 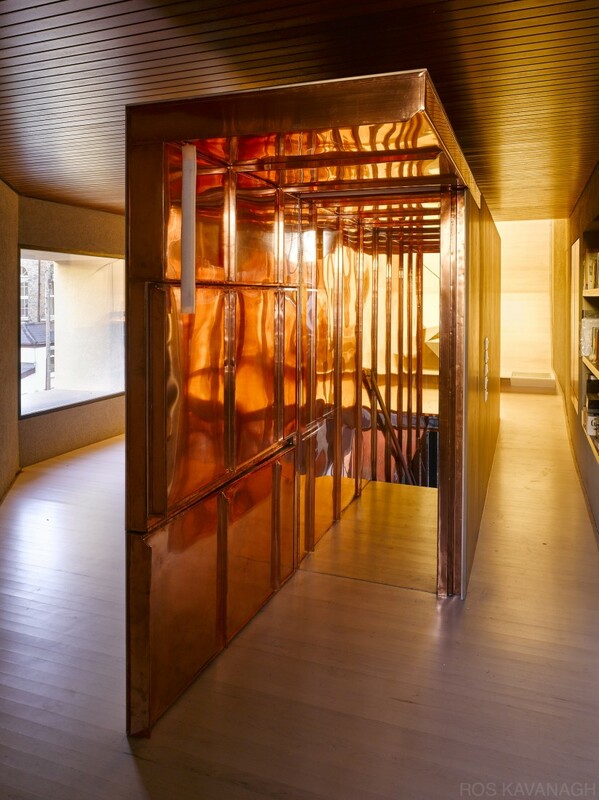 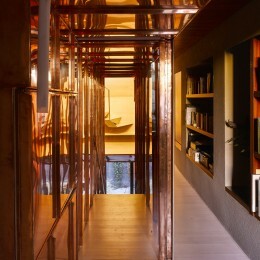 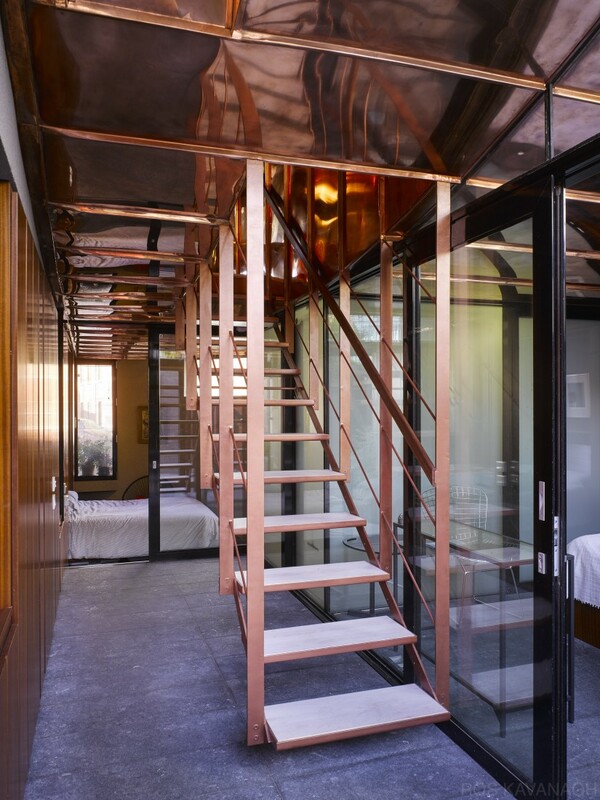 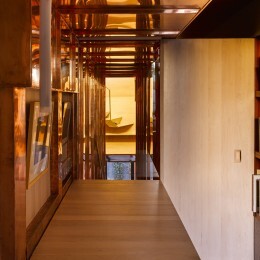 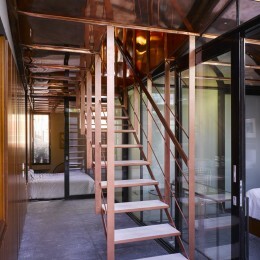 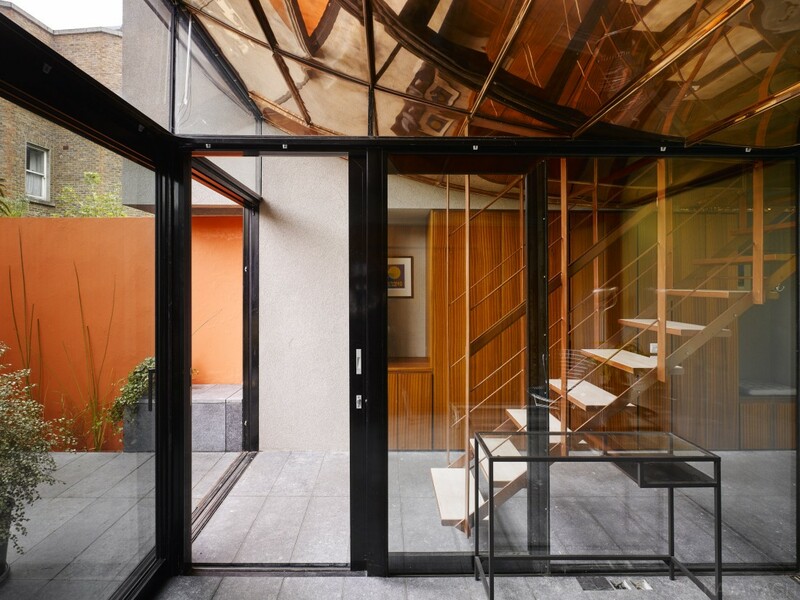 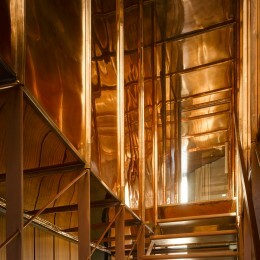 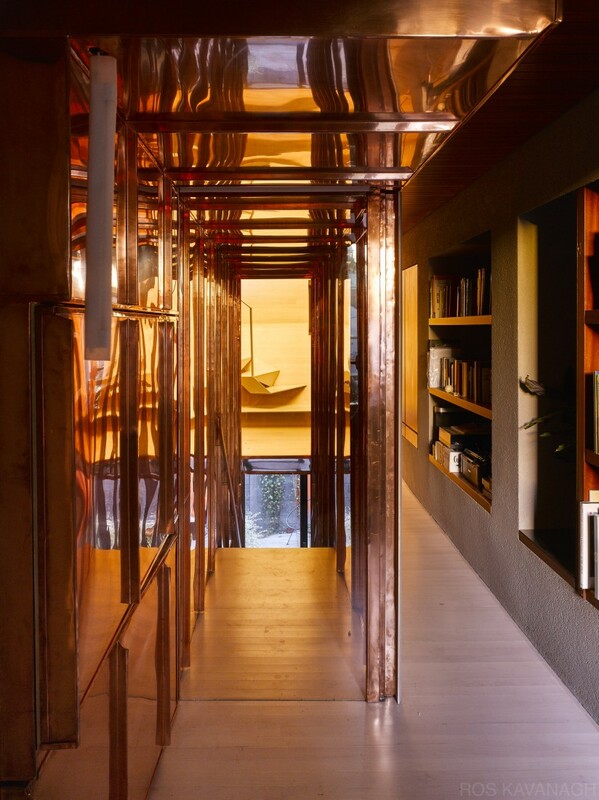 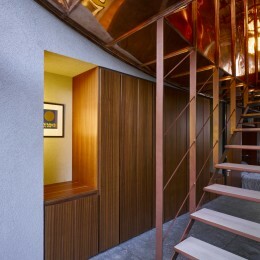 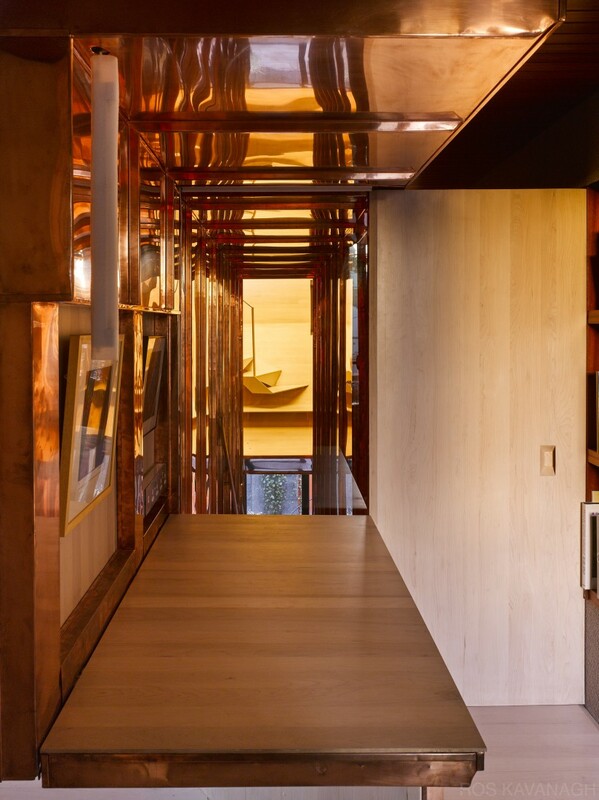 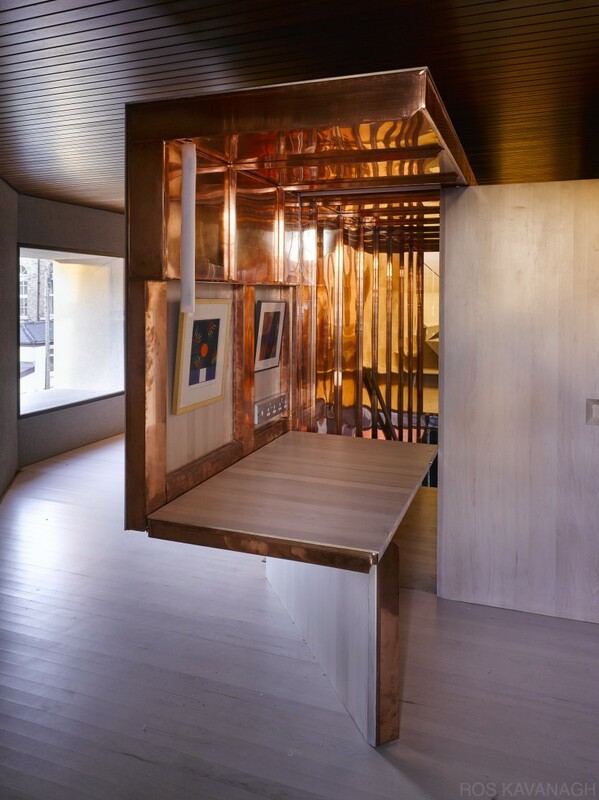 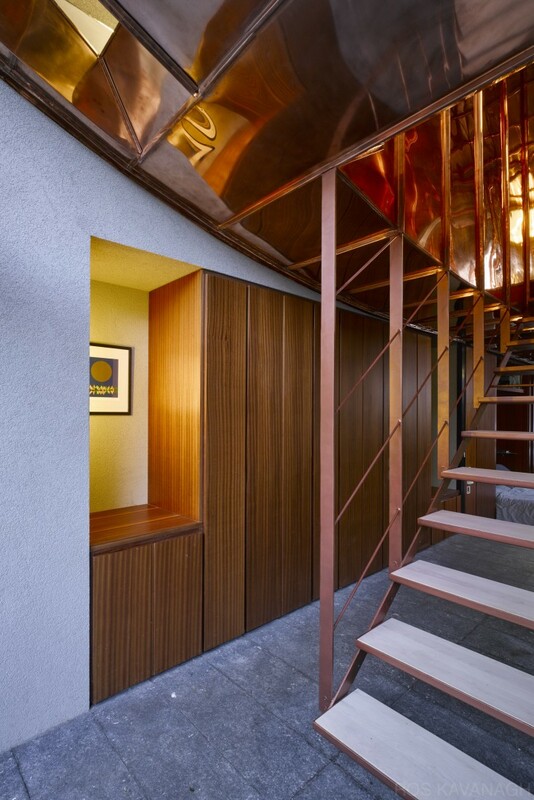 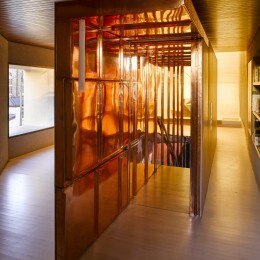 The same materials were used inside as out: Sapele or African mahogany on the flooring and copper on the roof.